Weston incorporates the beauty associated with rural towns with the convenience of accessing shopping and entertainment in nearby towns. This location is also abundant in recreation. With access to swimming and tennis facilities, golf courses, and biking areas, there are always opportunities to stay active. Weston's outdoor recreational scene is prominent as well with local preserves such as Devil's Den. Unique in its atmosphere, Weston also remains unique in its dining with restaurants such as the Lunch Box. Other dining festivities remain within a small proximity to Weston. 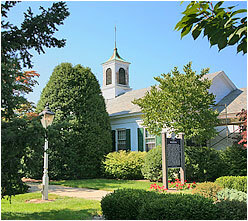 Only a short distance from the Merritt Parkway, Weston remains only a short drive from nearby locations including New York.